I am excited to announce my new role as Fashion Editor for Make It Better magazine. I am proud to be part of this incredible production that serves my community. 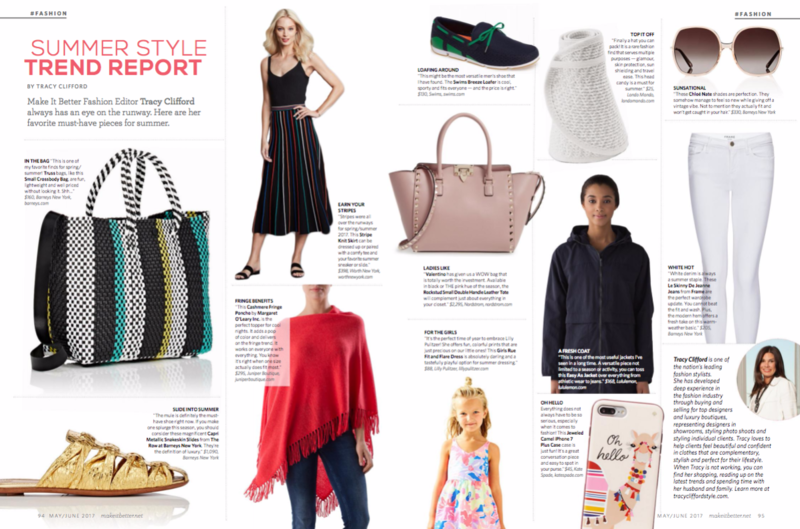 My first assignment was featuring must-have pieces for the Summer Style Trend Report. Here’s a peek of my first article (below), view it in full size here. I look forward to sharing the best of fashion with our Chicago audience.